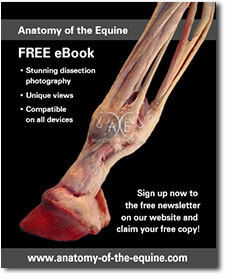 As a thank you to subscribers to this newsletter we are pleased to offer you a free eBook with images relating to the Distal Limb, Laminae and Digital Cushion. Click on the link below to access the webpage where you can then download the eBook to your computer. If this is the first time you have used an eBook don't hesitate to contact us if you need any help. Also please come and like us on Facebook - we have a large community building there and would love you to be a part of it.